Missile vs. carrier . China has enhansed the Dong Feng missile to be able to sink a carrier at 1,200 miles. Traveling at 100 miles a minute, it is virtually unstoppable. Back at the start of WW2 in the Pacific the range to the enemy was determined by a seaman's eye or in good weather was extended by an airman's. Neither side was sure where the other was. Intelligence, guts and luck were on Fletcher's side in stopping the enemy until American industrial capacity could overwhelm their smaller enemy. Now satilite, GPS, and automation track every surface ship and distance does not protect industry. The Navy is shifting to smaller litterial ships and is refurbing the underseas fleet. That submarines are invisable is proven by Franch and English subs colliding in the Atlantic last month, neither was able to detect the other. The fleet has the guts ; luck is on the side of the prepared ; lets hope the intelligence part is working, too. Followup on Unmanned Truck -- three years later . It now has an acronym, UGV, unmannned ground vehicle, and an agreement with the Navy (representing Marines) to begin testing sometime. The project gets no listing in the company's media center. The company's primary interest is in combining their MRAP designed for desert warfare (used by Australia) with their medium armored cargo truck used by marines in Afhanistan into a new M-ATV (MRAP-All Terrain Vehicle) for use in mountainous Afghanistan. That is where the political interest is (money potential). Whereas the UGV only saves lives. Ever hear the story of the Spitfire? It was started without a govenrment order, but was ready when needed with 24,250 built. Patriotism. Oshkosh has an order, yet delays. Show the Flag. A requirement of the Navy is to "Show the Flag" in foreign ports. Sending the Comfort (AH-20) to tour Latin Amerida is the best possible flag to show. Congradulations. Unmanned Truck. It has been almost a year now, Aug'06, since the contract for the following unmanned truck was issued. There has been no delievery and the company Division President refers to the project as something for the future. Meanwhile close to a thousand more men have died. Why? We might suspect the MRAP vehicle has taken congressional interest. The goal of the MRAP is to reduce deaths to be only injuries. The proper goal is to remove the drivers entirely, not to just wound them. There is precidence for this : in WW2 Lockheed delayed development of the pre-war, P-38 Lightening, putting all their efforts in converting their passenger liner into a bomber for overseas sales. A lot of US aircrew died in 1941-42 because of that ; and extended the war, too. Unmanned Truck . The Army is sponsoring additional development of an unmanned military truck for duty in Iraq. The truck is to make a test drive with cargo seven miles in the Arizona desert. The unmanned truck has been developed by Oshkosh Truck Corp. in cooperation with Rockwell Collins and the University of Parma, Italy. This vehicle came in fifth in the Grand Challenge last October. The thing is, it is THE big truck, 16.5 ton, 10-wheel drive, already used in Iraq, not an SUV or Volkswagen that took top places in the Challenge. To it is being added an unmanned Palletized Load System to be completed by December 2006. Lets hope adding the bells and whistles doesn't delay delivery ; seems like the loading device could be added later if needed (the company markets that device) and we can go with saving lives now ! Drivers are being blown up while on the road, not at either end of the trip where they are protected by soldiers. If soldiers are not there and able to protect the unloading, there is no reason for the truck to have gone there. The Urban Challenge will be in Nov'07. This will be for unmanned city driving. There will be a lot of interest because the Army acted so quickly in giving a development order for the first ones. Damn proper that they do, too. "Every man, woman and child is a threat. If you forget that you will die." No, not a statement of truth in Vietnam, but by George Patton. New body armor is based on those worn for bomb disposal. American troops have complained that the new armored body suit designed to be worn in Iraq makes them look "goofy" and like a space alien. And woman are blamed for choosing fashion over pain. DARPA Urban Challenge Congressional has mandated that a third of all military ground vehicles will be unmanned by 2015. Urban Challenge offers $2 million for an unmanned vehicle to drive 60 miles through a city on Nov 3, 2007. "Police and firemen will repel the attack." Reduce Troop Levels . Those crying for troop reduction have an excellent argument. It will come and they get both publicity now and claims of victory in the future. The logic is that of the silly rooster that thinks the sun comes up because he crows. High Speed Vessel (HSV). All four services desire this militarized high speed ferry able to transport a company and their vehicles into shallow water or any other medium amount of cargo. Two leased examples have proven their value in the Persian Gulf and in Hurricane Katrina relief. DARPA Grand Challenge - Robotic Car Race . Roadside bombs are the bane of Iraq convoys. What is needed is a robotic way to move supplies. The 2005 DARPA Grand Challenge will be held on October 8, 2005 in the desert Southwest. The team that develops an autonomous ground vehicle that finishes the designated route most quickly within 10 hours will receive $2 million. The route will be no more than 175 miles over desert terrain featuring natural and man-made obstacles. Competitors will be given a CD with route coordinates 2-hours before the start. The 2004 Grand Challenge, March 13, was 142 miles across the Mojave for a $1 million prize. There were 15 qualified entries. Many failed to complete the first turn. The greatest distance of an entry was 7.4 miles. This work is in its infancy, but vital. Firearm Statistics . There have been an average of 160,000 troops stationed in Iraq during the last 22 months. During this time the firearm death total was 2,112 for a firearm death rate of 60 per 100,000. The firearm death rate in Washington DC is 80.6 per 100,000. That means that you are more likely to be shot and killed in our Nation's Capitol, which has some of the strictest gun control laws in the nation, than you are in Iraq. Conclusion: We should immediately pull out of Washington, D.C.
Motivate Failure. A Chief Electrician's Mate is the first slated to receive $100,000 by staying Navy as part of the Enlisted Supervisor Retention Pay program. �The bonuses for the nuclear ratings have always been there since I have been in the Navy, but it seems like they are getting better and better," he said,"My first bonus was $12,000 and for my second I got $60,000. That time we were in the Persian Gulf, so it was tax-free." I have trouble absorbing how we can try to turn a patriotic military into mercenaries. Aid . While the hospital ship Mercy is in-transit to give aid to South East Asia, Abraham Lincoln (CVN 72) task group there first, and Bonhomme Richard (LHD 6) group giving aid, the Mullah government of Indonesia is hobbling efforts of assistance. The ungrateful Mullah's have forced Lincoln outside territorial waters, banded Marines from basing on shore. They will probably ban Mercy because red crosses are painted on her sides instead of crescents. The Islamists consider devastation to be a punishment of Allah, a'la Jerry Farwell, and not a humanitarian disaster. There are two lessons to be learned here, one explaining a foundation of a present and future conflict ; the other showing that fanatics enjoy the disruption the lives. Want'a bet crescents will be added? US will increase manning to 150,000 during the Iraqi election period. The President is serious about the Iran election and return of an elected government. I am getting very little news about the expulsion of terrorists from Falljah. This is because I turn off any news that begins with collateral damage, "Three children were injured today ...". The soft life of the anti-US sorts with no knowledge of history expect perfection. Do you want to hear about collateral damage? Nanking, Manila, Warsaw took damage. Normandy had people living there. Elements of 8th Air Force mistook a Dutch town for a target. Hamburg, Dresden and Tokyo were attacked. The twin towers. War is hell ; Fallujah is nothing in historic standards. We know the benefits of a well trained military -- in time of need, pre-training allows mobilization more quickly, and the pace of the world is increasing each year. As this website says over and over, war is a come-as-you-are party. We will not have the time to prepare as we have in previous emergencies. Getting the basics under the belts of everyone will help. There are difficulties with the draft, too. We will not present the opposing side here; there are persons enough to speak to those issues. Let us look at the positive side. Military service offers the opportunity for growth, to learn responsibility, discipline, interacting, and self-confidence ; and such basic work skills as development of communication skills, useful knowledge of basic public health and emergency handling, and even getting up regularly and doing work. Military training and basic skills are valuable in a world of terrorism in which everywhere defines the battlefield. We have civilians manning navy ships -- does anyone remember the problems in early WW2 where merchant crewmen would not unload supplies on Midway the Sunday before? Or the union-rules people who only worked weekends to get the overtime and refused to work during the week during Guadalcanal. Can we allow undue influence on political campaigns effect national defense? All residents, including illegal immigrants, are draftable. The threat of military service for a nation for which they have no loyalty will dry up the supply of many of these criminals who are here only for self-interest, taking American jobs and living off the public. Let their self-interest keep them out of our country. We will get a chance to see who are real and who are unworthy. The worthy, in time of need, can go directly to work or to advanced training. I will leave it to others to determine how this is to be implemented. The military prefers long tours by fewer numbers to reduce the training effort -- the military training programs are fabulous. I tend towards universal military service for a short time and use that great military capability for preparedness of the people of our country. Politics, too. The last election was between an anti-war activist and a wounded WW2 vet. The draft dodger won, twice. This time the election is between an anti-war activist sailor and a national guard fighter pilot. Antiwar activists extended and eventually lost the Vietnam war. Odds are they will extend and lose us Iraq. This is not new : read the pre-WW2 news where political appeasers campaigned on "Schools not ships" and "keep us out of war" while war was raging in Europe and Asia that resulted in US weakness that allowed Japan and German to easily conquer their spheres of interest that then required years and thousands of lives to fix. We are at war today, peaceniks have missed the point again. Politics. One party ran a beautifully effective attack on the Taliban and on Saddam. Nation building and peacekeeping has proven to be a real problem. Homeland security is going forward with enthusiasm, perhaps changing the concept of traditional freedom (which is a concern). The other party is going to do the same thing, but better. Neither side can present a plan that offers any guarantee on issues that may have no solution. This may mean a chaotic world for the next hundred years, by which time the present world order will have changed. Squandered time. Someone recently said the world has squandered thirty years of warning of dependence of imported oil. Islamic apologists continue to say that peaceful Muslims consider that Christians and Jews are people of the book sharing the same god. These are from early chapters of the Koran. Mohammed soon reversed his opinions such that terrorists can consider that killing them is helping Allah rid the world of infidels. A little known fact of American history, perhaps intentionally suppressed by those with an anti-ist agenda, is that Thomas Jefferson outlawed the importation of slaves to the United States in 1808, three generations before the emancipation. Yet, anti-ist present this great man as an oppressor. Slavery continued in Saudi Arabia until 1962. What do black muslims see in that religion, other than protest? "Videotape showed Osama bin Laden: "It�s time to penetrate America and Israel and hit them where it hurts most." Bin Laden�s supporters said that in the next two weeks "a severe blow is expected against USA and Israeli interests worldwide". The reporter who met with bin Laden said, "There is a major state of mobilization among the Osama bin Laden forces. It seems that there is a race for who will strike first. Will it be the United States or Osama bin Laden?" "[This report was made last Tuesday, our fleets escaped to sea Friday, so the coming weekend thru the next should be interesting. Clinton expended almost the entire US inventory of cruise missiles on bin Laden's tents and destroyed an aspirin factory in Africa on the last such report. (US had insufficient cruise missiles for Kosovo the next month.) This could be a bluff just to encourage a new US President to make a mistake and reduce his influence and make him leery of further action. (Russia did that to JFK in Germany.) Possibly both action and hopes of US hitting more innocents with world and US press condemning his ineptitude." Glad I don't have to make the decisions with insufficient information. ]" U.S. Botches Iraq. We are doing everything wrong; blah, blah. Talked with a fellow just back. "You are not getting the real story. We are rebuilding the infrastructure for those people and they appreciate it. I'm proud of what we accomplished in my year there." Iraq gets Patrol Craft. The US bought two 90' patrol craft from China, originally ordered by Saddam, and gave them to Iraq. Training is being conducted by RN. All nations must police their coast line. This may be a better alternative than the boats being sold to other Chinese allies. We also reimbursed the German shipper. Imminent Danger Pay (IDP) and Combat Zone Tax Relief (CZTR) benefits will be awarded to Navy personnel who deployed to the eastern Mediterranean Sea in the opening weeks of Operation Iraqi Freedom. This changes the concept of service wages. If anything intense gets premium pay, then base wages are no longer for service, but for non-rigorous duty only. USS Oriskany (CVA-34, Essex class) to serve as artificial reef. Historical artifacts have been removed for this carrier by the Curator of the Navy and other materials had been removed by the Oriskany Museum of Oriskany, N.Y. Four states have applied for the vessel. There is an inventory of 97 obsolete vessels designated for disposal ; of these 24 ships are available for reefing. One third are scheduled for disposal this year. Relocation from P.R. The Navy will relocate U.S. 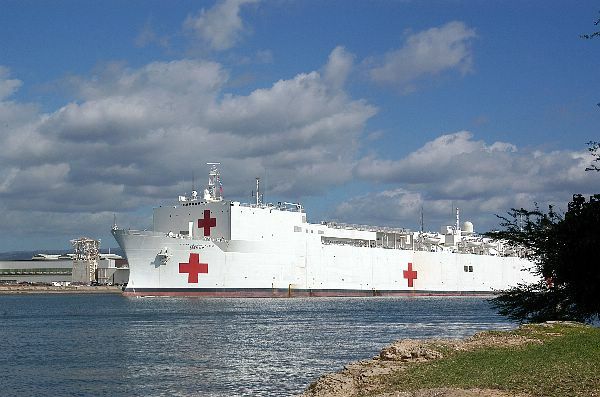 Naval Forces Southern Command (USNAVSO) from Roosevelt Roads, Puerto Rico, to Mayport, Fla. to be completed by March 2004. Naval Surface Group 2 stationed there will be absorbed. This is aftermath from concession of Navy owned Valques Island to P.R. independence and peace groups along with the movement of life-fire exercises to the US mainland where retirees rather than sea gulls might be inconvenienced. Navy Budget Request. The Navy comprises 30% of the 2005 DOD budget. By the middle of the next decade, growth in the surface force may be pushing the Navy toward a total of 375 ships, up from less than 300 today. Specially outfitted littoral ships, LCS, will dominate the near-land battle space, carry troops and equipment ashore and defend carriers and other large ships from mines, diesel submarines and explosives-laden small boats. Artillery to be installed on a new-design destroyer, the DDX, will be able to shell enemy forces up to 100 miles inland. The fact is the Navy budget is likely to be further reduced because the Army fighting in Iraq has identified specific and urgent needs. A surface fleet has a less defined mission. Other weapons, including unmanned boats and aircraft might do as well as the LCS (2008) in close-to-shore and DDX screening of carrier operations. A range of weapons developments is required to see which are most useful. Yet we must remember that war is fought with weapons on hand -- we need a sufficiency of equipment and training at all times. Non-expendable weapons (manned) are more flexible and durable in combat. Repositioning Army Army may recall 40,000 troops stationed at big bases in Germany to the US and send them on exercises of a few weeks or months to many smaller bases around the world as required. This will increase the need for sealift capacity or for more equipment permanently stationed around the world. We have many ships so equipped at an island base in the Indian Ocean able to quickly unload in Middle East, Oceania or Africa's east coast. Otherwise it is a month's sailing to get there from US ports. [I hope they were replenished after off unloading for Iraq war. This is the sort of thing that does not make the routine press.] Navy retired 3 attack transports last year (now has 37) with their replacements coming in future years, 2005 and 2006, not right now. Last war we used ocean liners for troop transports -- have you seen how tall new vacation ships are, they seem ready to roll over and are able to operate only in calm seas ; may not be able to do all-weather transport. Airlines have worked down their fleets to minimums. Suppose an emergency could be declared to suspend commercial flights and use them to haul troops and arms, but food and fuel needs take a lot of space and require sea transport. At least terrorists don't have a submarine fleet or attack jets to hit our unarmed civilian shipping and airliners like the Nazi and Communists did -- unless Red China joins the other side. Memorial Cross An e-mail passing by says: "Did you see in the news last week where the ACLU doesn't want any crosses on any Federal property? Let them try and remove these!! What are these people thinking?? At what point do we say, enough is enough? . . . Walking through a battlefield cemetery with rows and rows of perfectly aligned crosses in Europe, reading the names, reading the units they were with, and particularly reading their ages, brings a tear to the eye. So does the suggestion to remove their crosses. 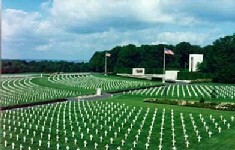 Little know fact : the military cemeteries in Europe are US soil granted by grateful allies. Selective Service. The following people must register for the draft, in case a call up is again authorized. All male U.S. citizens and male immigrant aliens residing in the U.S. or its territories must register within 30 days of their 18th birthday. More specifically, all males who are 18 but not yet 26 years old who are not already in full-time military service. Aliens must register. Excluded are lawful non-immigrant's on visas - tourists, diplomatic, student. Seasonal agricultural workers - some do, some don't - see form I-688, I-688A. Illegal immigrants must register. There is no surprise that they are not prosecuted for failure to register : they have already broken other laws that are winked at ; additional charges are surperflous and would require more obvious eye closing by the legal system. It is cheaper to pay their way back home than to incur the expense of a trial and jail-time room and board. New legislation may make them eligible for social security benefits, but no mention of draft responsibilities. The problem of immigrant labor was caused in part by WW2. Recall that during the depression there was a surplus of unemployed Americans -- there was no incentive for foreign workers to enter the U.S. With the enlistment of 16 million Americans in the military, there became a shortage of labor such that seasonal immigration was encouraged to harvest crops. Once exposed to American wages, it was impossible to put the toothpaste back in the tube -- and business found it is a way to keep down wages demanded by real Americans. Uncomfortable jobs demand higher wages by limited American labor or by automation to increase productivity -- witness the effect on agriculture when slavery was eliminated. The solution is not to import more economic slaves. Strangely, once the draft is put back into effect, the illegal problem will go away -- illegals are here for the money, not for contribution to the American society. However, a big war will open the gates again and offer guest workers an exclusion from military service while American workers go to fight. The Navy is returning control of Kahoolawe to the Hawaiians after spending 10 years and $460 million to clean up a half century's worth of shrapnel and unexploded bombs since the attack on Pearl Harbor. The uninhabited 45 square miles of Kahoolawe are sacred to Native Hawaiians who feel the island, untouched by tourists, connects them with the spirits of their ancestors. "It's important for us to have a place where we can practice our traditions without it being a spectacle, without it being some kind of tourist attraction. It's one place we can go to be in communion with our natural life forces." Six miles southwest of Maui, Kahoolawe is the smallest of the eight major Hawaiian islands. It is 11 miles long and seven miles wide. The Navy has controlled Kahoolawe since martial law was declared after the Dec. 7, 1941, Japanese attack on Pearl Harbor. Access to Kahoolawe will be controlled by a state agency. Are "native Hawaiians" Americans? Separation of state and religion? If one worships money, should the government give it to him? Can I say that the spirits of my sacred ancestors think I need communion with cash?